I wanted to share a few of my experiences with developing websites and database applications in relation to optimising the structure, navigation, layout and content of websites to help increase rankings in popular search engines, including Google, Bing and Yahoo. Some key areas covered include designing and developing a website to have a logical page hierarchy and navigation paths. I have developed a range of websites both static and interactive with a database or sometimes file system back-end to enable content to be published and maintained dynamically. The Search Engine Optimisation techniques described below are based on my own personal experiences with various methods of building a dynamic website. They are basic in nature, and provide an idea of just some of the many techniques to optimise a website for Search Engines. Any concepts or conclusions reached are a result of my own research, experimentation and opinion. As there are numerous factors involved when Search Engines rank a site or page, there may be factors other than the techniques which I perceived to be the reason for an increase in search engine ranking. If you have a different opinion, or would like to discuss the techniques below, feel free to post a reply to the thread. Optimising the content on your site by targeting specific keywords and key phrases is a common and very effective technique to increase traffic to your site. The following are some thing to consider when optimising content and pages to target specific keywords and key phrases. Targeting the general keywords ("Racing", "Bike", "Bicycle Racing") will not be as effective as targeting a specific key phrase "How to build a racing bike using playdough". You can almost guarantee that a popular search engine will never display a result in the top 10 for single word key phrase such as "Racing" if the content is related to a more specific topic, or the site is not well established. To achieve this may not be possible at all in some cases, but would take time, as well as a large number of descriptive backlinks from pages on external sites with a very high level of relevance as well as ranking in search engines. You should not focus of general/popular keywords. Instead, focus on achievable goals such as reaching the top position for a more specific key phrase, and you will find that rankings for more general search terms will improve over time. Including the general category/topic when creating deeplinks, page title and description can help target the more general, but more popular keywords in the long run. For example, if many separate pages published after 5 years relating to a general topic ("Racing") but cover many sub-topics ("Bicycle Racing", "Motor Racing", "Historical Racing Events", etc.) all reach the top 2-3 position in search results by targeting a specific key phrase relating to the content, you would be more likely to start getting hits from search results for the more general/popular terms "Racing", "Bicycle Racing", etc. . In this case, an example of a specific key phrase for one of the pages might be "How to build a racing bike using playdough". The use of the words "Racing" and "Bike", are the general terms which are more relevant in the long term, but are not the focus of the content. 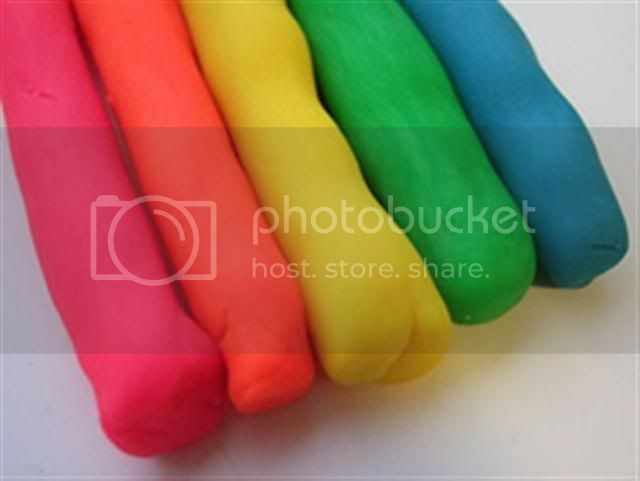 In this case, the use of "How to build.." and "using playdough" is what distinguishes the specific topic from the general and would need to be the main topic of the content on the page for the key phrase to be targeted successfully. The page title, description and content should include, and compliment the key phrase being targeted. In other words, you should always include the keyword/phrase in the title and description meta tags for the page. You should use the exact key phrase at least a few times within the page content, and use variations and related phrases as well. Anchor text on backlinks pointing to pages on your site should also include the key phrase, or a slight variation. There are mixed opinions to how much a keyword or key phrase should be used in content to be successfully targeted in search engines. Check out Google Trends to see and compare search statistics for specific keywords and keyphrases. Using a template for each page on a site not only helps when developing and maintaining a website, it is a method which will help search engines reach all pages on a site when crawling and understand the information provided, and the context of each page in a hierarchical fashion. Using clear and concise titles for links pointing deeper into the site where the information becomes more specific is important to help search engines categorise the information on each page. This, along with the page titles and keywords determined by crawlers also helps search engines put the page into context with other information on the site and around the internet. Be careful not to overload websites with links that are displayed on every page (from the main template), as this can result in the website becoming cluttered and spammy, as well as reducing the level of relevance on each page. Too many links will also mean that any value the page has will be divided among each link (pointing both internal and external). The result of this is that each page containing the links will be less value to a user in a topical context, and any other pages being linked to will most likely have no affect in regards to SERPs. You would be lucky to have a site cluttered with template links perform well in Search Engines, which would provide a whole orchord of low hanging fruit in cases where one did. After removing some (or all) links that are not highly relevant to the majotity of pages your site, as well as links to domains or website that are not well established or provide additional value to users of your website, you should see an increase in visitors from organic search results. There are many other options to help manage site-wide internal and external links, including the use of rel tags (nofollow), affiliate / links pages (with caution), redirect pages (also with caution), etc. which should be concidered before making any site-wide change. Major site-wide changes can be seen as being manipulative to search engines if it involves applying nofollow to links, anchor text changes, particularily when the navigational structure and page heirarchy is changed, or links to pages are updated clearly for the purpose of targeting keywords. Navigation should be in a consistent location on the website, before the main content or body of the page. Adding source code for a left navigation menu close to the top of the opening body tag is recommended, but a top navigation (or another location) should also work if required. Having the source code close to the top of the page will reduce the chance of the crawler associating the links with the content directly above and below instead of a consistent menu. This is also essential for Site Links or similar to be generated, and to appear in search engine results such as Google. When a consistent menu is used properly, a crawler/bot can successfully use links from the menu and sub-menus to put pages into a logical hierarchy and relational context. Duplicate information can be common on websites and web applications which retrieve and display information on pages from one or more databases. This can result in the same information being displayed on more than one page, which is common in some circumstances, but can be and easy trap to fall into if abused. Basically, providing a duplicate copy of the same information on separate pages on the same website is useless for Search Engines, and in most cases will decrease the ranking of your site. An alternative, would be to provide a short summry, or truncated version of the the information with a link to the page containing the complete version. This would help reduce the amount of duplicate content found on a site, but should be avoided unless the summarised versions reside on pages which are relevant to the same topic. Cramming a page full of links is also a waste of time which has little or no effect on search engine results for the site containing the links page, or the sites being linked to from the links page. This would need to be designed and executed carefully to ensure that a network of related pages is created that people would be able to understand and find useful. There are some cases where it may be required, or beneficial to the end-user to display the same information on multiple pages. A common example of this is blogging applications and platforms that allow you to view posts by selecting a category or tag. Any post with the selected tag will be displayed on the page. The individual pages/posts containing the most specific information should be included by Search Engines, and other pages such as the category pages for a blog should be blocked from being indexed by search engines. Popular blogging applications, including some that are Open Source will usually be configured to block search engines from indexing pages containing duplicate content using meta tags in the head. this is a good method for instructing crawlers/bots, but I highly recommend that you create and use a robots.txt file at the root of the website. See the link below for a robots.txt generator. SEO & Search Marketing Tips.